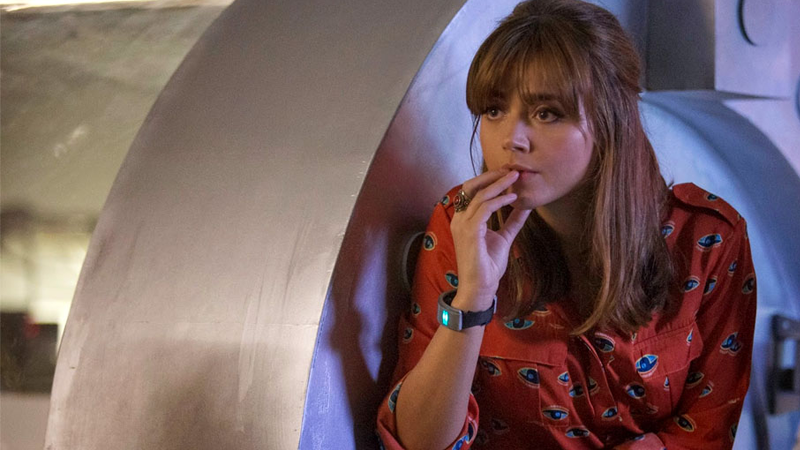 Jenna Coleman seemingly left Doctor Who for good last year, as Clara Oswald ran off into time and space cheating death with Arya Stark—a high note for an otherwise uneven companion. But in the realm of time-travel, was this really the last we saw of Clara in the series? Maybe not, according to Peter Capaldi. I’m not sure how successfully Clara was able to wipe his mind. I just… I was about to tell you something I can’t tell you. I just shot something that Clara was still there in. Now, Capaldi manages to both let something slip and intricately dance around the real details, making this complicated to break down. Of course it’s complicated, it’s Doctor Who! The way he words this revelation could just as easily imply that the cameo is a flashback, set before the events of Clara’s exit (wibbly wobbly timey wimey), rather than an actual appearance by Coleman in character. But even stranger, Doctor Who isn’t currently filming, as we’re trapped in a nightmarish year without the show until Christmas day—the most recent thing Capaldi would’ve shot for the show was the short video released to announce Pearl Mackie as the new companion, Bill. But what is currently shooting at Doctor Who’s home in Cardiff is Class, the young adult spinoff series set in Coal Hill School, Clara’s place of work in seasons 8 and 9. A Twelfth Doctor cameo for the series has been rumored for a while now, and given Clara’s connection to Coal Hill School, it’d make sense that if the Doctor did appear, it’d be associated with her. After all, it’s time travel—Class might not have happened for us yet, but it could be set in a time before Clara’s exit, and the Doctor could be looking to whisk her away on another adventure between lessons. Whatever the filming was for, we’ll no doubt be waiting quite a bit before we get a definite answer in this year of Wholessness.